California is celebrating its 166th birthday this month. Trevor made a Perler Bead flag of his own design to commemorate the occasion. Both designs should be easy to replicate by looking at Trevor's. 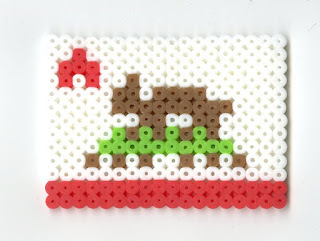 For the California flag, you need a rectangular board and white, red, brown and green beads. For the US flag, you need the rectangular board and red, white and blue beads. 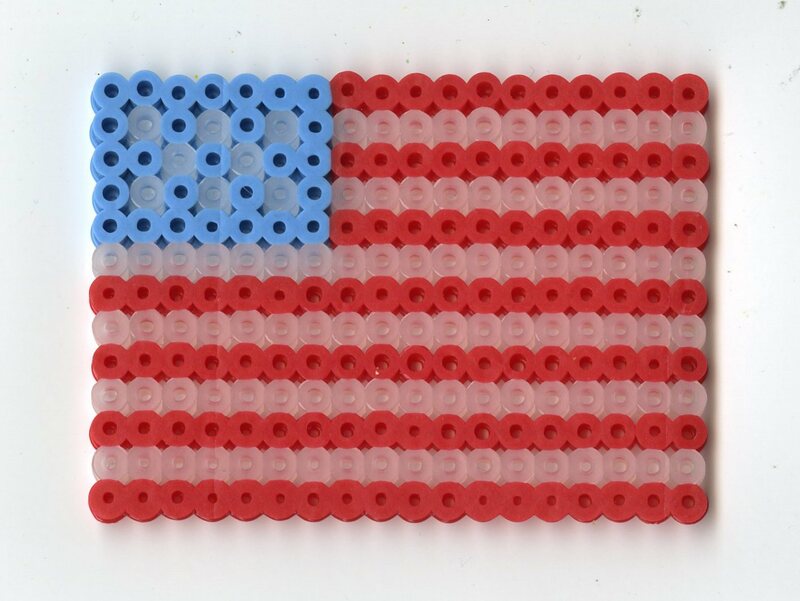 Now we can add our state and national flags to our growing collection of Perler Bead flags. You can see our versions of the Olympic flag, as well as the flags of St. Vincent and the Grenadines, the Bahamas, and Lebanon here. These are awesome! I knew right away it was the CA flag!!!!!!!!!! Great job! I, too, recognized our state flag right away.